CIT Bank Bonuses are available nationwide online with some of the highest interest rates available. Currently you can enjoy earning 2.45% APY Savings Builder, 1.85% APY Money Market, 2.05% APY No Penalty CD, 1.55% APY High Yield Savings, and many other CD Terms Rates. All of these high interest rate accounts have a very low minimum requirement of only $100! 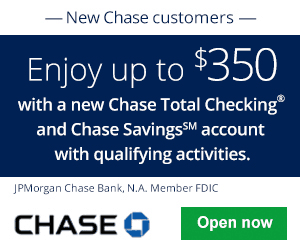 In order to qualify for these attractive rates, all you need to do is open an eligible account and deposit certain amount of money into each account. CIT Bank offers competitive rates, no account opening or maintenance fees, and daily compounding of interest to maximize earning potential. The wide variety of accounts from CIT Bank allows you to be in total control of your account while being a part of one of the nation’s most trusted financial institution. See below for CIT Bank Bonuses, Rates, & Promotions. If you are curious to see what other banks have to offer, check out the most updated list of Bank Account Bonuses on BCS or check back frequently for CIT Bank Bonuses & Promotions! If the account is closed prior to the end of the third statement cycle, then the account will be deemed ineligible for a bonus payment. Submit your info. You’ll need to provide your address, phone, email and social security number (or other taxpayer ID). Fund your account. 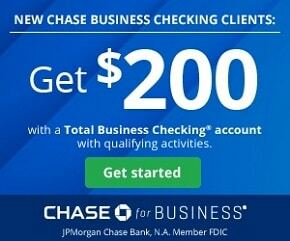 Minimum of $100 to open your account. You can transfer funds with electronic transfer, mail in check, or wire. Done! CIT Bank will send a confirmation email. To qualify for the Tier Boost, make at least one monthly deposit of $100 or more during the first Evaluation Period which begins on the third business day prior to the end of the month the account was opened. The minimum opening balance does not qualify to earn the higher APY tier. Visit CIT Bank Money Market Account offer page, then click on “Open an Account” button. 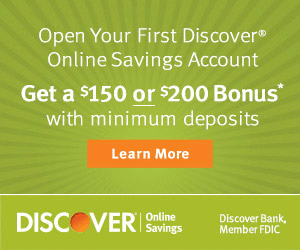 Provide a minimum deposit of $100. Receive the stated rate once deposit has been received. Account is limited to a total of six (6) preauthorized or automatic transfers or withdrawals, electronic banking transfers between other accounts, withdrawals by draft, point of sale (POS) debits or similar order per statement cycle period. Interest is compounded daily and deposited into your account monthly. Make deposits, limited withdrawals and transfers, or close the account at any time without penalty. Go onto the CIT Bank No Penalty CD promotion page. Open a CIT Bank No-Penalty CD and fund your account. Start earning the stated rate! You may withdraw the total balance and interest earned, without penalty beginning seven days after the funds have been received for your CD. No withdrawals are permitted during the first six days following the receipt of funds. This is a tiered interest rate account. Interest is paid on the entire account balance based on the interest rate and APY in effect that day for the balance tier associated with the end-of-day account balance. Rates are variable and may change without notice. Fund your account. 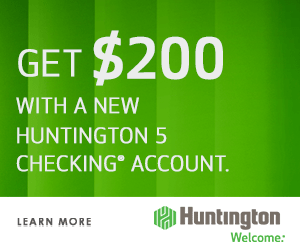 Minimum of $1,000 to open your account. You can transfer funds with electronic transfer, mail in check, or wire. Upon maturity, CDs are renewed for the same term automatically. Upon maturity, the 18-Month CD will be automatically renewed as a 2-Year Term CD at the then-published APY. Upon maturity, the 13-Month CD will be automatically renewed as a 1-Year Term CD at the then-published APY. If you are interested in a CIT Bank CD, Money Market, or Savings account, there is an opportunity for you to earn generous APY Rates. All you need to do is meet all the necessary requirements for each account and the features and benefits could be yours! For more than 100 years, CIT Group Inc. has helped drive innovation as a leader in their communities and now, they’re putting their expertise towards you and your banking needs. If you would like to be a part of this great financial institution, I recommend you head on in to your local branch today and start your new account experience. If you want to stay updated on all of the bank promotions, you can find them all on one convenient table from BankCheckingSavings!